"Her children rise up and call her blessed"
We might not all be mother, but we all have a mother and I am blessed to be able to honor my mom for Mother's Day! 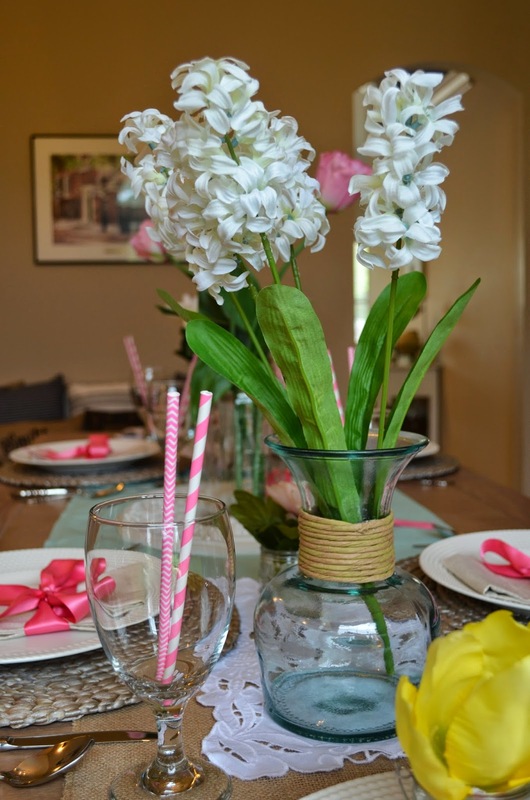 This year I decided to have a brunch the day before mother's day in honor of her! It was such a blessing to see her face light up and to see her happiness to think it was all for her. Even though she insisted on doing dishes! We had a yummy, finger licking brunch and a wonderful time together. After we ate, my mom and I spent the afternoon visiting local antique and thrift stores. It was a blast and we had some good finds, but I am exhausted! 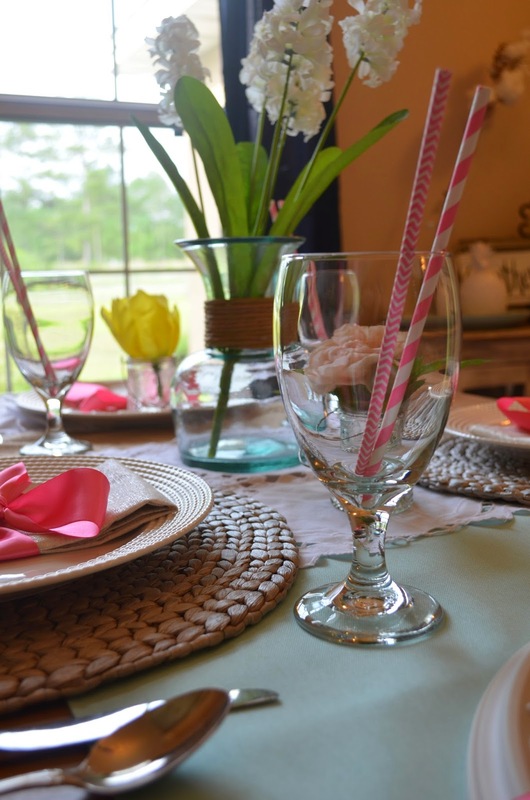 I can't wait to use some of my new finds in my Memorial Day tablescape and others to come. 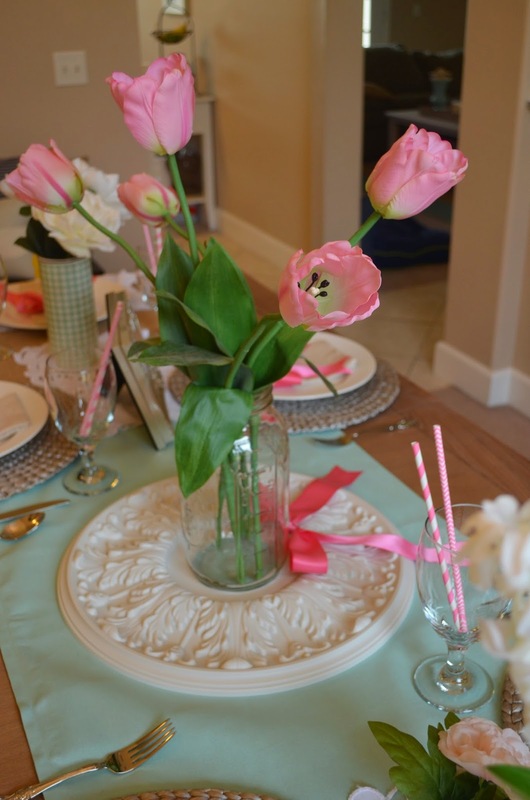 I enjoyed getting to set more of a girly pink table, since I don't do it too often. 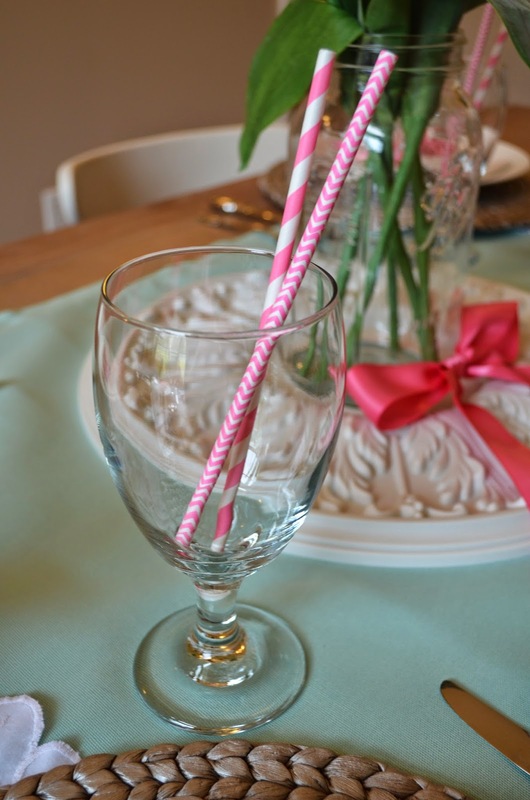 I fell in love with the pink ribbon from my graduation cap so I added the touch of pink ribbon to the table. This week I also decided to remove the big white buffet out of our dining room and I love the way it looks with out it! It makes the room feel so much larger, now all I need is my hardwood floors! I wanted to emphasize that it was Mother's Day, so I decided to make this farm with a hand written Mother's Day wish! My mom recently gifted me this butter dish from her collection once I told her that I liked it, so I felt it only appropriate to use it today! I am so glad that she noticed that I was using it! The butter inside is Amish butter from Tennessee and it is delicious!! I love entertaining, having people over, and especially when my fine china gets used! The evening light the day before the brunch was wonderful and it added the perfect amount of light to take these photos! Thank the Lord for the small things like the perfect sunlight for photo days! 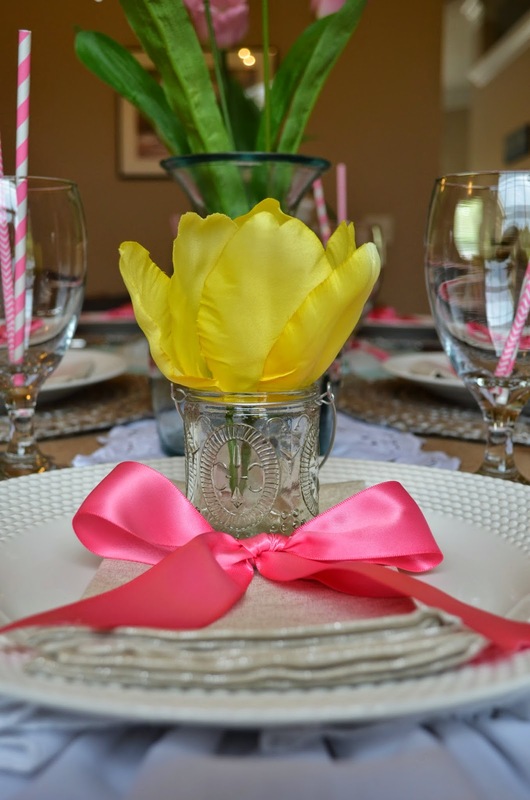 I made a special place setting for my mom at the head of the table with a tulip. I love these white flowers! I wish I knew what kind of flowers they are, simply gorgeous! 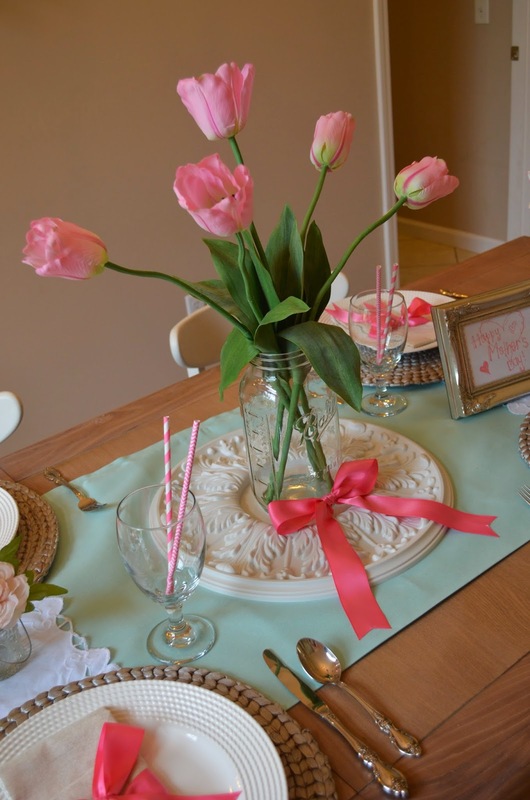 Of course when you think of Spring and Mother's day you think of tulips, so I wanted to make pink tulips the centerpiece of the table! 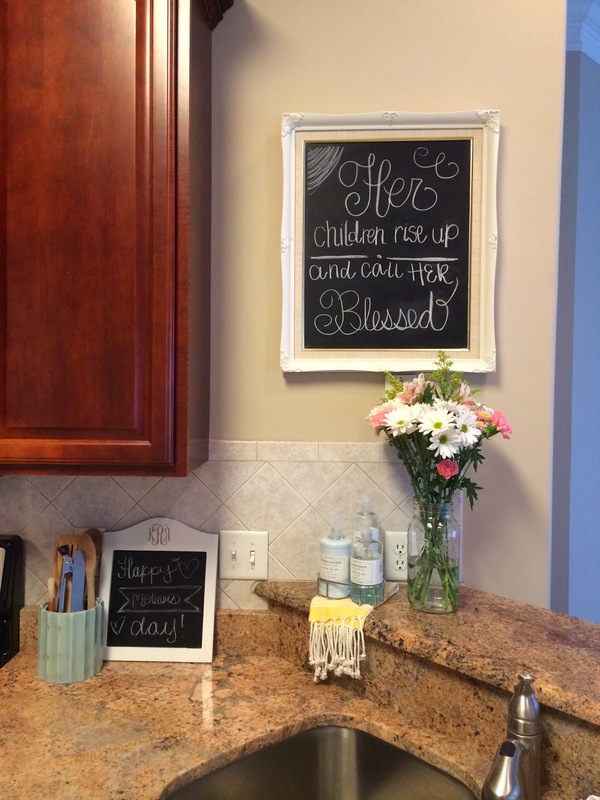 This is my favorite chalkboard to date. It could be that I'm finally getting the hang of it! p.s. I finally got my R's for my front planters, and it adds a special touch to the front porch. As if I didn't have enough R's out there, I thought I would add 2 more!! I hope that everyone had a wonderful day with your moms or with your families! I know I am so thankful for my mom, because without her I wouldn't be here!